Elexana LLC is more than just an EMF Testing and Consulting Company, we work with you throughout the entire solutions process. First, helping with a plan using free or cost-effective solutions, then providing any discount codes for mitigation products and often connecting you with the various professionals needed to do any extended remediation. We communicate your needs in their specific technical language with exactly what needs to be done and can we can instruct them what to do if they don’t know how. Our training is second to none. Serving:New York City, Westchester, Long Island, Duchess, New Jersey, Connecticut, Massachusetts, Vermont, New Hampshire, Rhode Island, Pennsylvania, Philadelphia, Virginia, Delaware, Maryland, Washington, D.C.
At Bedtime, Powering OFF Your WiFi is Good For Everyone and Your Modem, Too. We are a proud member of the Bioelectromagnetics Society (BEMS) established in 1978 as an independent organization of biological and physical scientists, physicians and engineers interested in the interactions of electromagnetic fields with biological systems. BEMS is an international society with members from approximately 40 different countries and regions around the world. It is incorporated as a non-profit organization in the District of Columbia, USA. 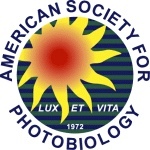 We are a proud full-active voting member of the American Society for Photobiology which promotes research in photobiology, integration of different photobiology disciplines, dissemination of photobiology knowledge, and provides information on photobiological aspects of national and international issues. We are a proud member of the International Institute of Building Biology® and Ecology and participate in regular on-going upgrades to our training. IBE is also a registered provider with the American Institute of Architects Continuing Education System. 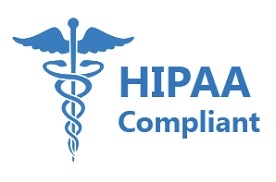 We are trained and certified HIPPA compliant. Your privacy matters.